Gabaldon made a rapid transition into politics and, though he at first avoided party labels, he struck an alliance with other up-and-coming nationalist politicos, such as Manuel L. Quezon, Sergio Osmena, and Jaime de Veyra.5 In 1906 he won election as governor of his home province, Nueva Ecija. As with other provincial governors, such as Osmena and de Veyra, he left the governorship before his three-year term expired, running for a seat in the newly formed national assembly. Elected as a member of the Nacionalista Party on July 13, 1907, Gabaldon served two terms (1907–1912) in the national assembly representing Nueva Ecija. In Manila, he chaired the committee on provincial and municipal governments and served on three other panels: police, accounts, and agriculture.6 While in the legislature, he authored a bill subsequently named after him that provided 1 million pesos to construct modern public schools throughout the islands, but particularly in the barrios (neighborhoods). 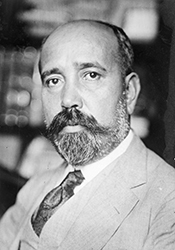 Despite his vast wealth, he earned a reputation for keeping a watchful eye on the aparcería (sharecropping) system, protecting the rights of agricultural laborers and small farmers. By the time Gabaldon arrived in Washington early in the fall of 1920, Congress had already gone home to finish election-year campaigning. As was customary for Resident Commissioners, Gabaldon submitted his election credentials first to the President, who then informed the legislature. Gabaldon spent nearly two months in the capital settling himself and his family before the House convened for a lame-duck session on December 6, 1920. Led by General Leonard Wood and former Governor General W. Cameron Forbes, both of whom opposed independence, the mission visited the islands from May through August 1921. After interviewing a wide range of people, including resident Americans and Filipino political leaders, the mission advised Harding to strengthen the governor general’s office and retain the islands because, in its opinion, the Philippines had not yet mastered self-rule.15 Harding unsurprisingly endorsed the report. The following day the Resident Commissioners were scheduled to testify before the Senate Committee on Territories and Insular Affairs, with Guevara taking the lead. But in between hearings, Guevara suffered a heart attack. Gabaldon, concerned for his colleague’s health and hoping for time to prepare new remarks, asked Chairman Willis to postpone the hearing, which Willis promptly denied. Gabaldon learned of this while visiting Guevara in the hospital. But the Resident Commissioner saved perhaps his sharpest remarks for the empty promises of the Philippines’ governors general, especially those made by Stimson. Stimson’s insistence that economic development be linked to political independence was little more than a smokescreen for a reassertive U.S. imperialism, he said, pointing out, “The very reason that we have not been given our independence is the investment of American capital in the islands.”41 Greater autonomy was no substitute for independence. 1Congressional Record, House, 69th Cong., 2nd sess. (4 March 1927): 5955. 2Zoilo M. Galang, ed., Leaders of the Philippines: Inspiring Biographies of Successful Men and Women of the Philippines (Manila, PI: National Publishing Company, 1932): 277. 3Anthony R. Tuohy, ed., “Hon. Isauro Gabaldon Gonzalez,” Album Histórico de la Primera Asamblea Filipina (Manila, PI: I.F., 1908): 41; Galang, Leaders of the Philippines: 276–278; “Isauro Gabaldon,” National Historical Institute of the Philippines, accessed 14 April 2011, http://www.nhi.gov.ph/downloads/fishgov0053.pdf (site discontinued); U.S. Passport Applications, Puerto Rico and Philippines, 1913–1925, box 4233, vol. 2, National Archives and Records Administration (hereinafter NARA), Washington, DC, http://search.ancestrylibrary.com (accessed 25 March 2015). Reference to Gabaldon’s marrying into wealth is made in Michael Cullinane, “Ilustrado Politics: The Response of the Filipino Educated Elite to American Colonial Rule, 1898–1907,” (PhD diss., University of Michigan, 1989): 523n12. 4Philippines Senate, “Isauro Gabaldon,” Former Senators’ Profiles, http://www.senate.gov.ph/senators/former_senators/isauro_gabaldon.htm (accessed 18 February 2016). 5Cullinane, “Ilustrado Politics: The Response of the Filipino Educated Elite to American Colonial Rule, 1898–1907”: 247, 384, 403, 435–436. 6Galang, Leaders of the Philippines: 276. 7“Gabaldon Chosen to Replace Yangco as Commissioner to U.S.,” 7 February 1920, Manila Times: 1; Galang, Leaders of the Philippines: 276; “Isauro Gabaldon,” National Historical Institute of the Philippines. 8Diario de Sesiones de la Cámara de Representantes, vol. 15 (Manila, PI: Bureau of Printing, 1924): 545–546; “Gabaldon Chosen to Replace Yangco as Commissioner to U.S.”; “Resident Commissioners to Washington Elected,” 8 February 1920, Cablenews-American (Manila, PI): 1; Isauro Gabaldon certificate of election, (endorsed 9 February 1920), Committee on Elections (HR66-AJ2), 66th Congress, Records of the U.S. House of Representatives, Record Group 233, NARA; Congressional Directory 69th Cong., 2nd sess. (Washington, DC: Government Printing Office: 1927): 131. 9“New Filipino Commissioner,” 18 February 1923, Baltimore Sun: 2; Diario de Sesiones de la Cámara de Representantes, vol. 18 (Manila, PI: Bureau of Printing, 1931): 1638–1645. 10“Filipinos Demand Freedom at Once,” 18 October 1920, Christian Science Monitor: 1. 11Peter W. Stanley, A Nation in the Making: The Philippines and the United States, 1899–1921 (Cambridge, MA: Harvard University Press, 1974): 251–258. 12Congressional Record, House, 66th Cong., 3rd sess. (3 March 1921): 4482–4484. Gabaldon had issued a public statement in early January making essentially the same points. See “Filipinos’ Stand on Independence Given,” 2 January 1921, Baltimore Sun: 2. 13“Policy in Philippines Waits on Wood’s Report,” 15 March 1921, New York Tribune: 4; “Harding Sees Filipinos,” 15 March 1921, New York Times: 10. 14“Wants Filipinos Given Short Test,” 2 June 1921, Washington Post: 4. 15Condition in the Philippine Islands: Report of the Special Mission to the Philippine Islands to the Secretary of War, 67th Cong., 2nd sess., H. Doc. 325 (1922): 10–12, 45–46. 16“Criticize Philippine Report,” 2 December 1921, Washington Post: 6. 17Congressional Record, House, 67th Cong., 2nd sess. (20 January 1922): 1483–1487, quotation on p. 1484; “Commissioner Attacks Report on Philippines,” 21 January 1922, Washington Post: 10. 18Bernardita Reyes Churchill, The Philippine Independence Missions to the United States, 1919–1934 (Manila, PI: National Historical Institute, 1983): 53–63. 19Churchill, The Philippine Independence Missions to the United States, 1919–1934: 74–80, 87. The bills were H.R. 2817, H.R. 3924, H.J. Res. 127, H.J. Res. 131, S. 912, S. Res. 35. 20The mission statement is reprinted in Congressional Record, House, 68th Cong., 2nd sess. (6 June 1924): 11094–11095. Coolidge’s letter to the mission is reprinted in Independence of the Philippines, 69th Cong., 1st sess., S. Doc. 77 (3 March 1926): 2–4. Coolidge commented on the Philippines in his third, fourth, fifth, and sixth annual messages. See American Presidency Project, http://www.presidency.ucsb.edu. 21Hearing before the House Committee on Insular Affairs, Philippine Independence, 68th Cong., 1st sess. (17 February 1924): 25–27; Churchill, The Philippine Independence Missions to the United States, 1919–1934: 88–89. 22Churchill, The Philippine Independence Missions to the United States, 1919–1934: 99–105. Changes also included the following: Commonwealth officials would support and defend the Philippines’ constitution instead of the U.S. Constitution; no one with military experience would serve as U.S. commissioner; the power to muster the armed forces would remain with the President; and only the U.S. Supreme Court would have jurisdiction over the Philippines. 23Ibid., 122–124. See also Congressional Record, House, 70th Cong., 1st sess. (3 March 1928): 4016. 24Churchill, The Philippine Independence Missions to the United States, 1919–1934: 122–124; “ ‘Isles of Fear’ to Present Truth About Philippines,” 28 November 1924, Washington Post: 10. The articles were compiled into a single volume, Katherine Mayo, The Isles of Fear: The Truth About the Philippines (New York: Harcourt, Brace, and Company: 1925). For biographical information about Mayo, see “Katherine Mayo, Writer, Is Dead,” 10 October 1940, New York Times: 25. 25See, for instance, the second Mayo installment, Katherine Mayo, “Warned that Chaos in Philippines Forbade Full Success,” 30 November 1924, Washington Post: 1. The editorials are “Conditions in the Philippines,” 7 December 1924, Washington Post: EF1; “Vetoing Seditious Propaganda,” 11 December 1924, Washington Post: 6; “The Philippines As They Are,” 24 January 1925, Washington Post: 6. 26Isauro Gabaldon and Pedro Guevara, “‘Isles of Fear’ Articles Answered by Filipinos,” 7 December 1924, Washington Post: 2. See also Vicente G. Bunuan, “Filipino Progress Called Refutation of Miss Mayo,” 25 January 1925, Washington Post: E6; Vincente G. Bunuan, “Morality and Stability Urged as Reasons for Filipino Independence,” 26 January 1925, Washington Post: 13. 27Congressional Record, House, 68th Cong., 2nd sess. (3 January 1925): 1167–1173, quotations on p. 1167. 28Congressional Record, House, 69th Cong., 1st sess. (21 June 1926): 11710. 29Congressional Record, House, 69th Cong., 2nd sess. (4 March 1927): 5957. 30Congressional Record, Index, 69th Cong., 1st sess. : 683; Congressional Record, Index, 69th Cong., 2nd sess. : 270. 31Congressional Record, House, 69th Cong., 2nd sess. (4 March 1927): 5957. 32Churchill, The Philippine Independence Missions to the United States, 1919–1934: 185–187. 33Hearing before the House Committee on Insular Affairs, Employment of Certain Civilian Assistants in the Office of the Governor General of the Philippine Islands, 70th Cong., 1st sess. (31 January 1928): 1–6, quotations on p. 1–2. 34Hearing before the Senate Committee on Territories and Insular Possessions, Appointment of Governors of the Non-Christian Provinces in the Philippine Islands, 70th Cong., 1st sess. (1 February 1928): 1–17, quotations on p. 2–3, 14–17; “Gabaldon Accuses Senator Willis of Lack of Courtesy,” 7 March 1928, Baltimore Sun: 13; Congressional Record, House, 70th Cong., 1st sess. (3 March 1928): 4015–4021. 35Churchill, The Philippine Independence Missions to the United States, 1919–1934: 185–189; Congressional Record, Index, 70th Cong., 1st sess. : 531, 539, 801. 36Congressional Record, House, 70th Cong., 1st sess. (9 March 1928): 4410; “Gabaldon to Quit His House Seat,” 4 March 1928, Washington Post: 5. 37“Territories: Gabaldon’s Going,” 19 March 1928, Time, http://www.time.com/time/magazine/article/0,9171,786723,00.html (accessed 14 April 2011). 38See for example, “Filipino Quits Congress to Aid Liberty Move,” 7 March 1928, Los Angeles Times: 6; “Filipino Envoy Demands Liberty,” 8 March 1928, Christian Science Monitor: 6; “Filipino Quits Congress with Attack on U.S.,” 6 March 1928, Baltimore Sun: 1. 39Congressional Record, House, 70th Cong., 1st sess. (3 March 1928): 4016–4017. 43“Regret Gabaldon’s Action,” 9 March 1928, New York Times: 27; “Gabaldon’s Views Not Favored Here,” 8 March 1928, Manila Times: 1. 44Churchill, The Philippine Independence Missions to the United States, 1919–1934: 194. 46“Gabaldon Refuses to Back Aquino,” 3 June 1928, Manila Times: 1. 47“New Attack on U.S. Policy Opens in Philippines,” 16 April 1928, Chicago Tribune: 32; “Cooperation Is Issue Confronting Filipinos,” 17 April 1928, New York Times: 50. The Manila Times editorial was reproduced in “Lack of Cooperation in Philippines Scored,” 26 April 1928, New York Times: 15. 48“Belmonte Faction Given Much Credit for Downfall of Resident Commissioner Gabaldon,” 7 June 1928, Manila Times: 1. 49“Gabaldon Defeated in Philippines Vote,” 7 June 1928, Washington Post: 4; “Isauro Gabaldon,” Biographical Directory of the United States Congress, http://bioguide.congress.gov/scripts/biodisplay.pl?index=G000001; Congressional Record, House, 70th Cong., 1st sess. (9 March 1928): 4410. 50“Isauro Gabaldon,” Biographical Directory of the United States Congress; Churchill, The Philippine Independence Missions to the United States, 1919–1934: 432; Frank H. Golay, Face of Empire: United States-Philippine Relations, 1898–1946 (Quezon City, PI: Ateneo de Manila University Press, 1997): 322, 325–326; “Manila North Cemetery,” http://www.manila.gov.ph/manilanorthcem.htm (accessed 13 April 2011). "Isauro Gabaldon" in Asian and Pacific Islander Americans in Congress, 1900-2017. Prepared under the direction of the Committee on House Administration by the Office of the Historian and the Office of the Clerk, U.S. House of Representatives. Washington: Government Publishing Office, 2018.